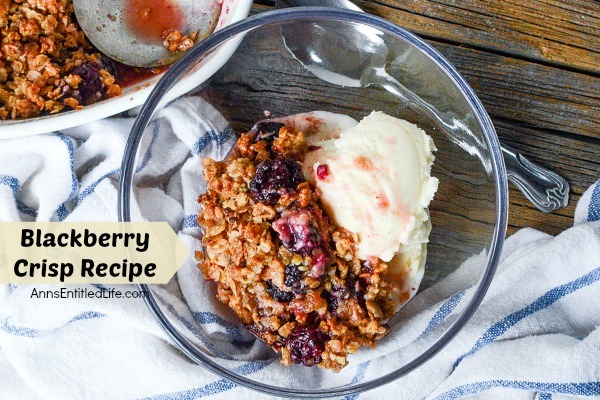 An easy to make, delicious dessert made with fresh blackberry. 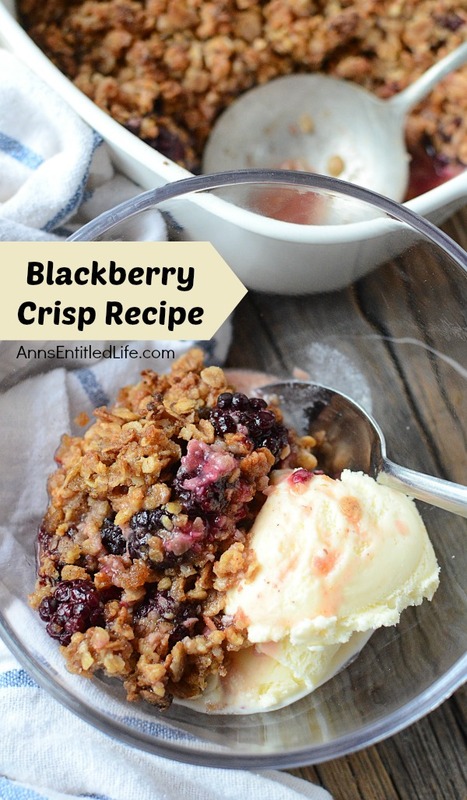 Your family will be asking for seconds of this wonderful blackberry crisp treat. 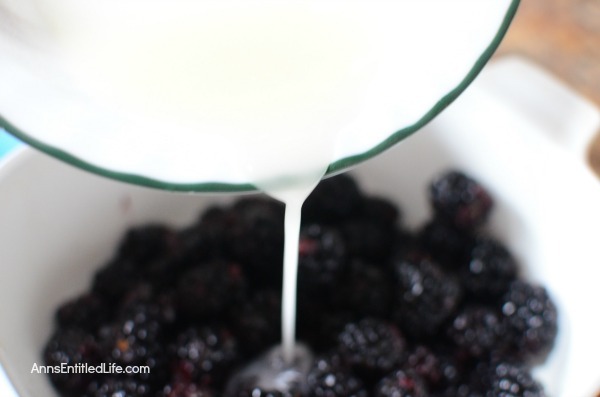 • In a small bowl, combine the sugar, cornstarch, water and lemon juice until smooth, pour over blackberries. 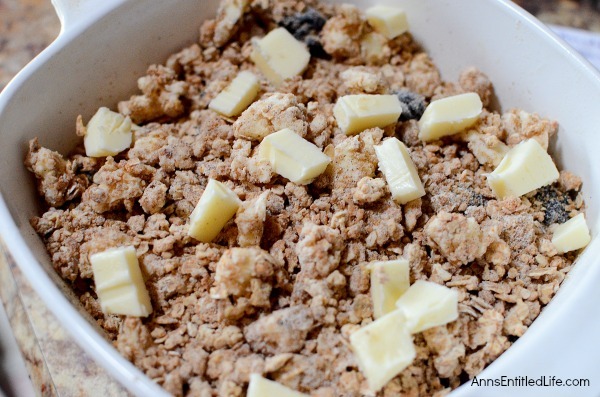 • Combine the muesli, flour, brown sugar and cinnamon; cut in butter until crumbly. • Sprinkle muesli mixture over blackberries. • Bake, uncovered, at 375° for 30 minutes or until filling is bubbly. • Serve warm or cold, ala mode or with whipped cream. 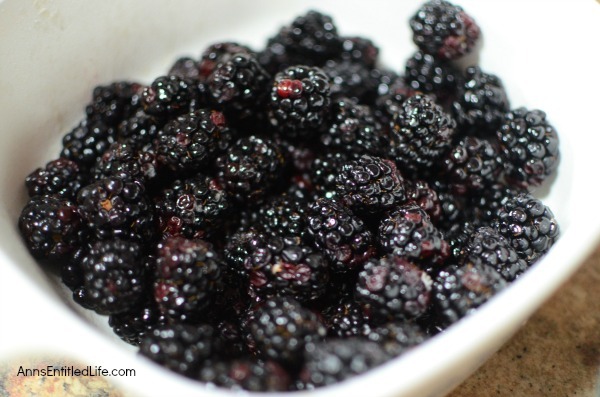 • Place blackberries in a greased 3 qt Baking Dish. • Dot with 2 tablespoons of cut up butter. 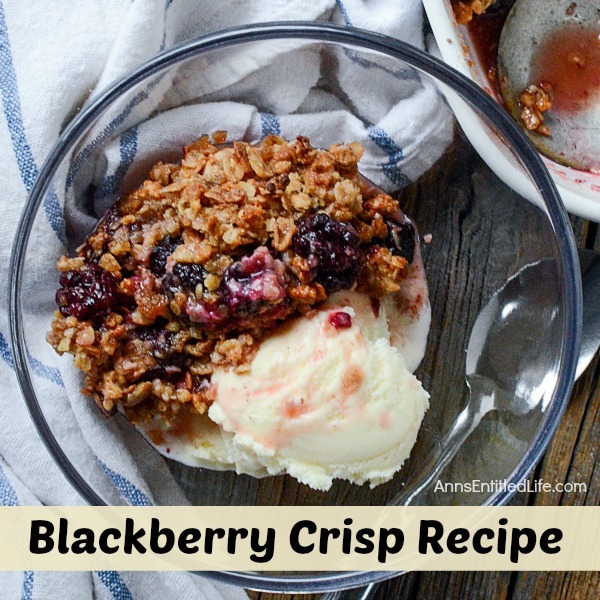 • To print the Blackberry Crisp Recipe directions, click here. Looks great! Pinned it & I’ll be making it one of these days.. Thanks! oooohhh, moaning in delight! This looks sooo good! Love fresh blackberry ANYTHING!! 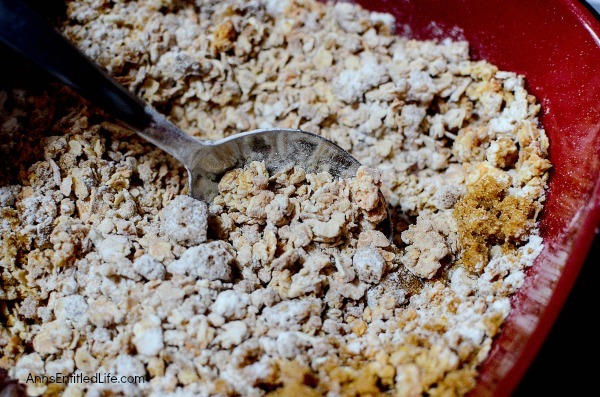 This is one of my favorite recipes to make from scratch. Gosh you make it look awesome! Thanks for linking up with Delicious Dishes Recipe Party!